A grass which nearly became extinct! 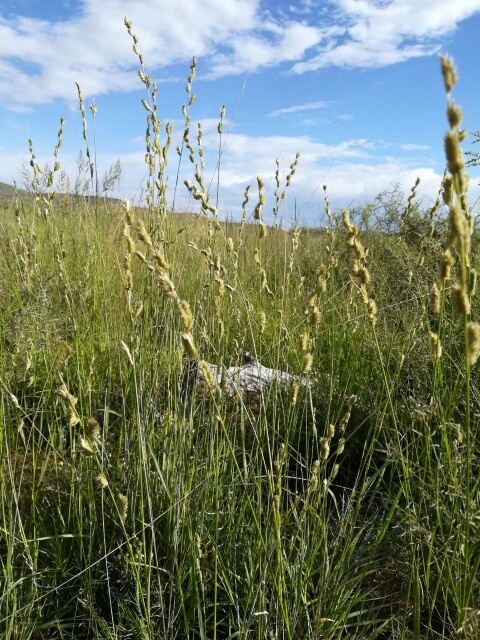 The first tuft of South African Cocksfoot grass (Tetrachne dregei) found on Karoo Ridge Conservancy was in a very unlikely place, on the side of a road, and was literally ONE tuft. Even so – great excitement! Out came the GPS and the smallest sample was taken to check under the microscope that it really was what we thought it was! South African Cocksfoot is the only species in it’s genus and has very limited distribution in South Africa. 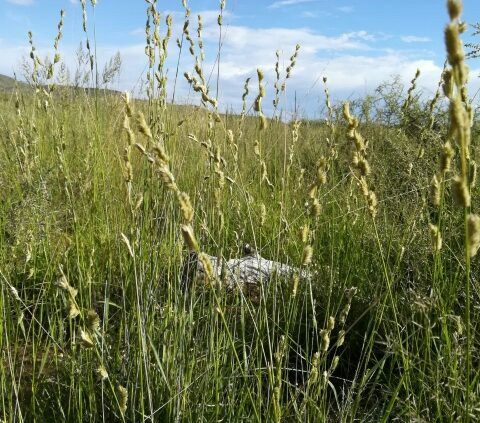 The few times I have seen it in Karoo veld it has been growing alongside Daba grass (Miscanthus capensis) and Wormwood (Artemisa afra) along rivers and in vleis. 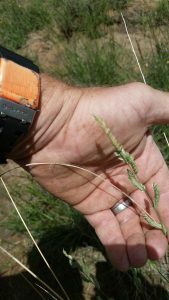 It is an important grass and is the best grazing grass in it’s distribution. It very nearly became extinct due to overgrazing. 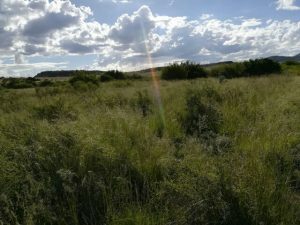 With the loss of natural vlei areas came the loss of the grass. We are finding more and more of it on the Conservancy in our vlei areas and are ecstatic! https://karooridgeconservancy.com/wp-content/uploads/2018/03/IMG-20180316-WA0014_resized.jpg 640 480 karooridge /wp-content/uploads/2017/10/logo.jpg karooridge2018-03-16 13:13:152018-03-16 13:13:15A grass which nearly became extinct! Karoo Ridge Conservancy is a property situated 100km SE of Colesberg (an ideal halfway stop between Johannesburg and Cape Town) and 50km NE of Middelburg (halfway stop between Bloemfontein and Port Elizabeth).